Whether you are a nursing or medical student, the office first aid person, or just a concerned parent, having a stethoscope in our home medical cabinet is always a good idea. You never know when you might need one, and, at the very least, your kids will love using it to play doctor. 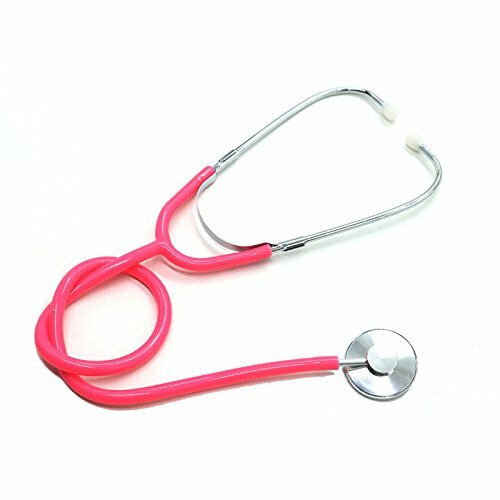 There are many different and very affordable home stethoscopes on the market, and by buying a pink one, you can not only be sure that it will look very cute, but it will be easy to find. Also, if you are a nursing student, you can be sure that your one doesn’t get mixed up with the other ones. 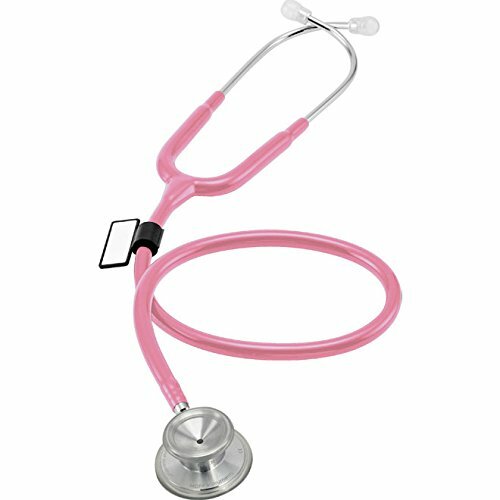 So here is out list of the best pink stethoscopes available right now. A stethoscope is an medical device for that is used to listen to the internal sounds within the human body. This process is scientifically called auscultation. They have a large disc (the diaphragm and bell of the stethoscope) attached to a tube which feeds into two ear pieces. The most common stethoscope uses are to listen to the lungs heart, intestines, arteries and veins, and they can be used with a blood pressure cuff to measure blood pressure. Electronic and digital Stethoscopes – Also known as stethophones, electronic stethoscopes aim make everything louder and clearer by amplifying the sound electronically. Modern stethophones can be connected to computer programs and apps to make graphs of the readings and input the results into algorithms and models. The problem with electronic stethoscopes is that they are very susceptible to picking up background or ambient noises. 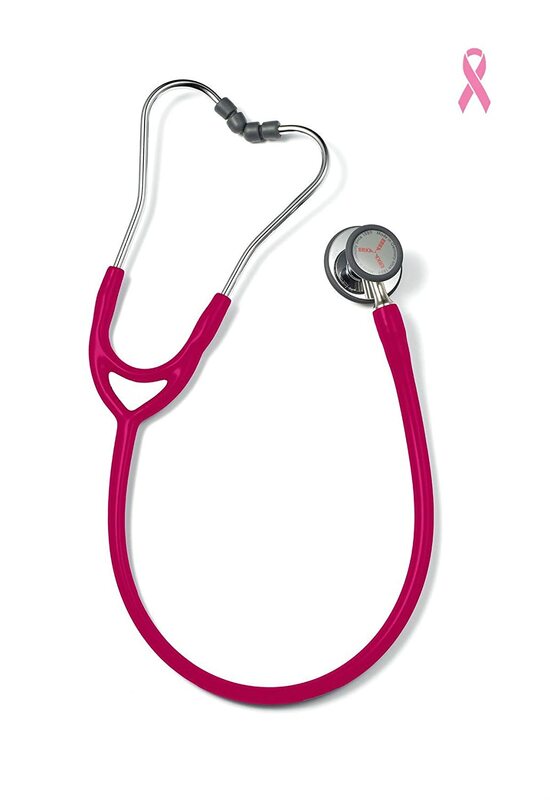 Proof that you can still be professional in hot pink, Littmann Stethoscopes are world renowned for being some of the best medical grade scopes there are, and they are used by doctors and hospital staff the world over. 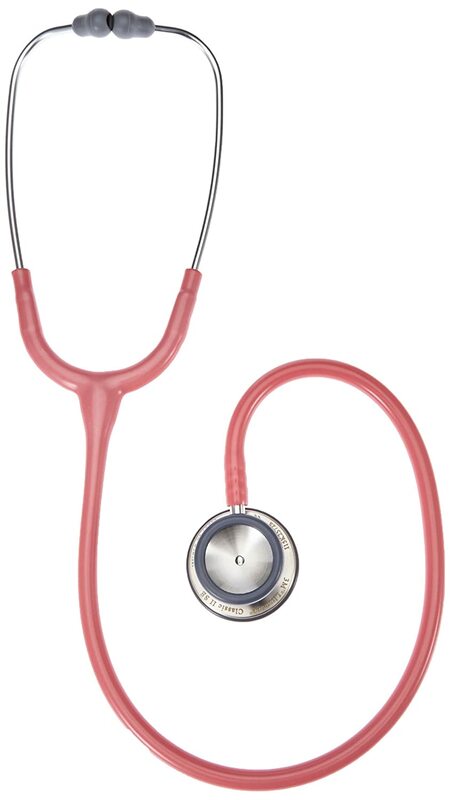 This lightweight pink stethoscope give you very clear audio , and its tunable diaphragm and dual-sided chest-piece gives reliable acoustic performance. Its teardrop shape makes auscultation around blood pressure cuffs easier. This is definitely not a toy, so we recommend this for students and medical professionals. 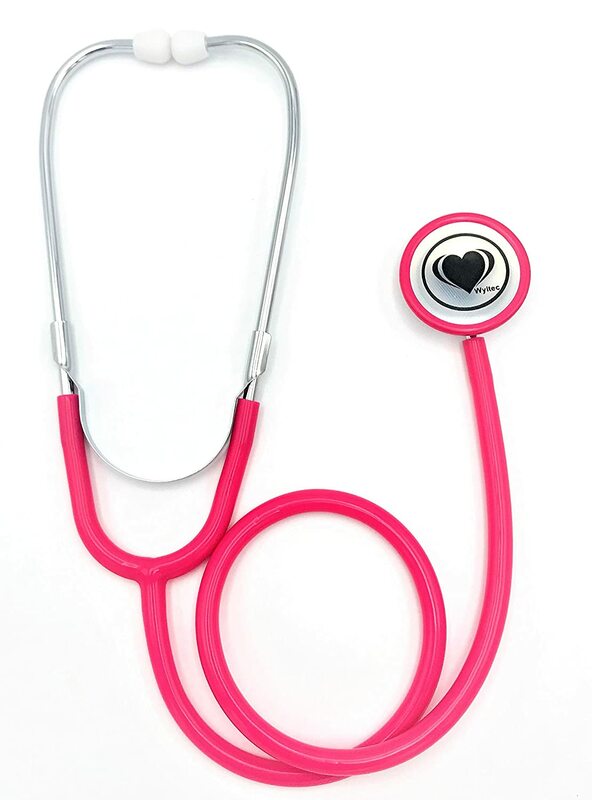 If pink is your thing, then this All-Purpose doctor stethoscope is a lightweight diagnostic instrument that really knows how to punch above its weight class. There’s a surprising amount of power in this small package. The lightweight, aluminum, dual-head chest-piece is precisely machined and hand polished for accurate readings so you don’t have to keep straining your ears to hear what’s going on, and it is brilliant for picking up both high and low frequencies. Best of all, this comes with a lifetime warranty and free replacement parts. This is a very modern stethoscope which comes with a lot of handy features, perfect for medical professionals in the 21st century. It has a switchable headpiece, with one for adults and one for children to help get the best sound quality depending on the patient. Both sides are have a pre-stressed convex diaphragm for brilliant sound transmission and resonance, so you won’t have to struggle to hear their heart or lungs. Better still, it has ergonomic ear tips that block out background noise. 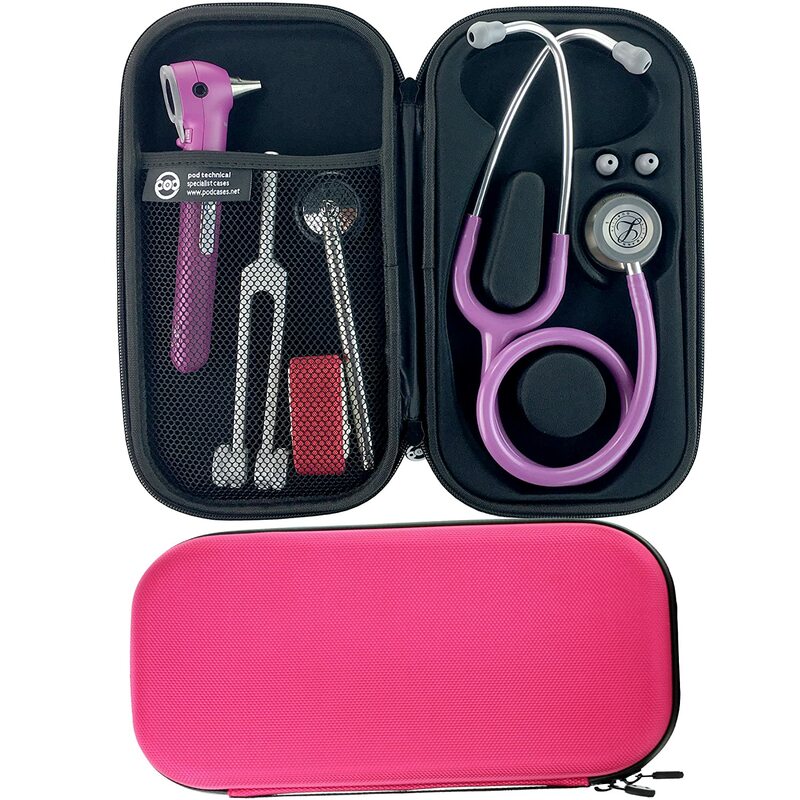 Included is a handy carrying case, which is ideal for medical workers who are constantly on the move, and this also comes in a range of other colors in case pink is not your thing. This is a Professional Sprague stethoscope made in the Rappaport style. I has 22″ tubing and accessory pouch with 2 diaphragms, 2 pair of ear tips and 3 bells, so you have a lot of different accessories to always get through to ear what is going on inside your patient. 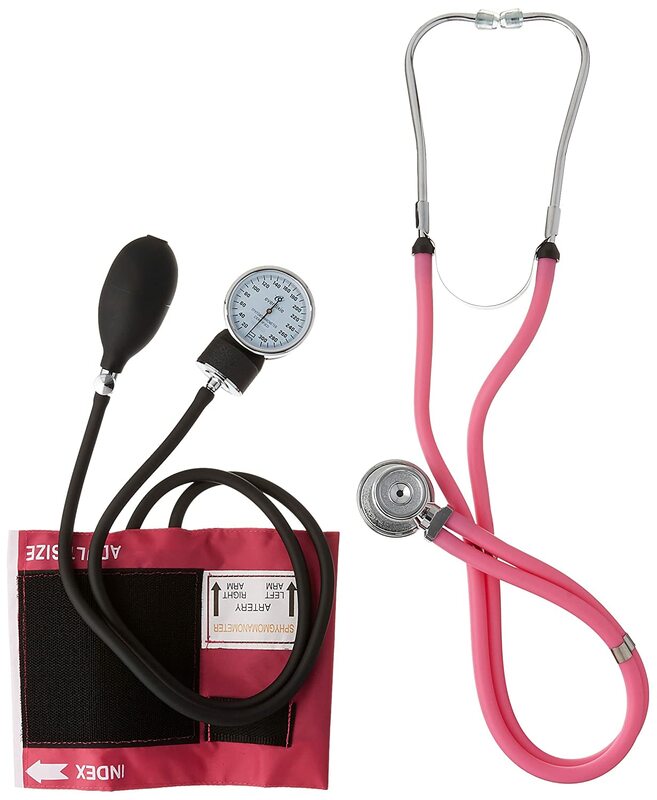 As you may know, you really need a stethoscope and a blood pressure kit in order to properly measure blood pressure, so this stethoscope comes with a blood pressure cuff too, and it all fits neatly into the included medical bag. 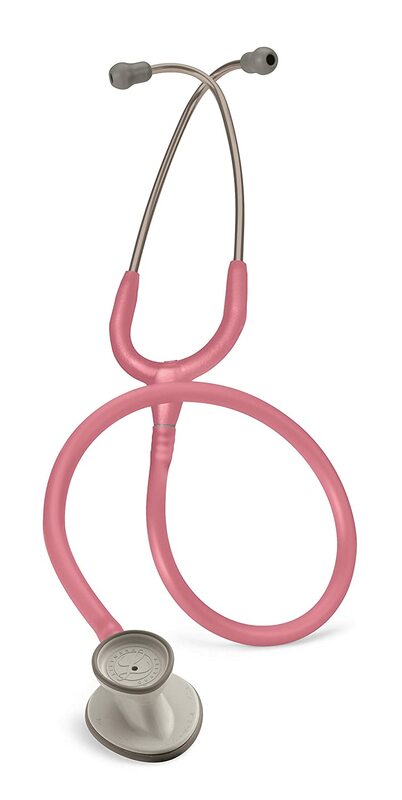 This pink stethoscope is as useful as it is hot in its amazing pink color. It has a long cable of 31 inch tubing, which will make it easy and conformable to use, and all the metal parts are stainless steel, so it is durable and hygienic. Best of all, this is has ultra sensitive acoustics, making it count where you need it the most. This will be great for both medical professionals and home use. It also comes with a lifetime guarantee. Another amazing Littmann scope, this time it is the 3M model. This includes all the wonderful craftsmanship and expert calibrations that the brand s known for, and this one is latex free, making it a good choice for those doctors or patients who have latex allergy. This has been designed to give you clarity and accuracy in both high and low frequency sounds, and the tunable diaphragm can be adjusted to focus on either, and its non-chill rim will be comfortable for patients. Best of all, its dual side chestpiece gives versatile auscultation and rugged dependability. They say once you go Litmann, you never go back. Try one out and see for yourself. 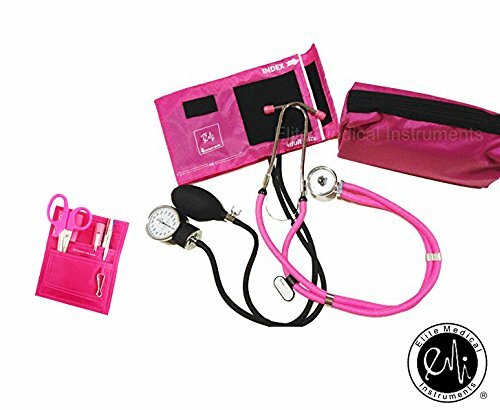 Looking for a high quality medical instrument but don’t want to sacrifice on your stylish pink color scheme? We’ve got just the scope for you. This has a high acoustic dual-head chestpiece that produces a clear sound, and the stainless steel diaphragm detects high frequencies while the small bell detects low frequency and auscultatory sounds, so you will get clear and accurate readings with this. Also the single lumen design has some soft silicone ear tips that greatly reduce ambient noise for remarkable clarity of sound. This set also stands out for its lightweight but durable design, which uses flexible PVC plastic on the tubing and a stainless steel headset to ensure that this piece of kit stays in good shape for a long time. No compromises here, this is a great stethoscope! 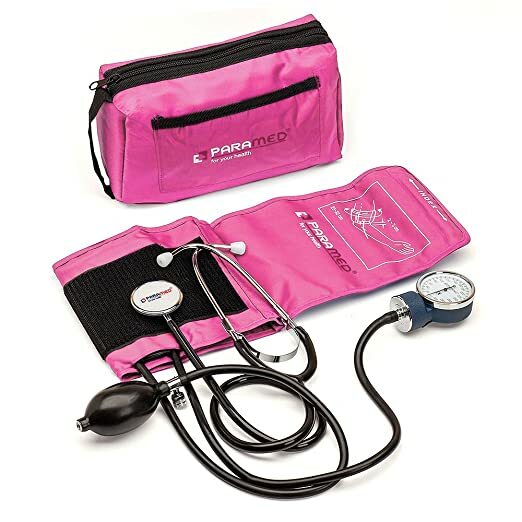 This scope comes in a handy set that includes a durable nylon carry case and also a Aneroid Sphygmomanometer nylon cuff for regular adult sizes, so its hand if you need to pick up a blood pressure kit too. It also has an organizer kit complete with 5 1/ inch Lister Scissors, Black Pupil Gauge LED pen light, and 4-color chart pen, making a great choice for nurses, medical students and those working in the field. If you’re looking for a great value for money package, or you need to pick up a blood pressure cuff as well as a scope, maybe pick up this pick set, as it doesn’t skimp on quality or usefulness. 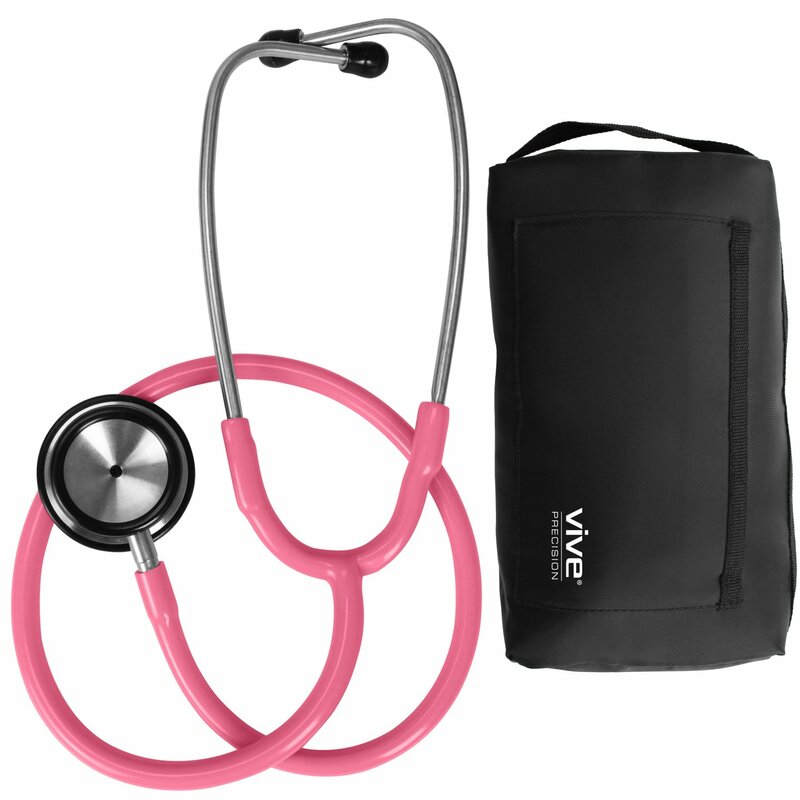 What we have hear is a wonderful and lightweight all purpose stethoscope that give good readings and audio quality as well as looking awesome in its hot pink colors. It’s headpiece is an aluminum single head and the chestpiece is precisely machined and hand polished for high durability and great performances, giving you the best of both worlds in. This scope is fully latex free, so if you are allergic to latex or you just don’t like it, this might be a good one to consider picking up. This will make a great scope for home use or for a medical professional, and thanks to its pink colors, it will be very hard to lose. This reliable and extremely well made medical kit comes with both a scope and a BP cuff, making it very cost effective solution for those who want to monitor blood pressure as well as listen into the lungs and the stomach, and these high-quality instruments will let you treat patients or family members professionally and accurately. There is zinc alloy metal gauge housing all along the professional stethoscope, so you can be confident that you will be getting accurate and precise measurements and readings which you can rely on. The Paramed instuments give precise readings compared to automatic, bulky ones, which often give more inconsistencies. Best of all, everything is wrapped up in a handy and stylish pink carry case, good for storage and transport. While this is actually a working stethoscope, this is made as a toy for your kids, so it is not to be used for medical purposes. however, if you are looking for something that your kids can play with, your daughter will love using this to play at being a doctor. So you’ve forked out for a top of the range Litmann? You’ll definitely want to take good care of that and protect it from damage. so why not check out this handy and durable carry case? This hard case is tough yet light, allowing you to carry it around easy or slip it into a bag or satchel. It has a specially molded frame on the inside which Littman or similar Stethoscopes will fit into, and the way the wires coil will protect them from damage. it also has a mesh pouch for other medical kit and instruments as well. Remember, protecting your instruments can help save lives, so don’t skimp out on taking care of your fancy new Littmann. When it comes down to picking our favorite, there really was no question; it had to be the Littmann Stethoscope. While this is a bit more on the pricey side than the others, you just can’t fault the quality of this world famous brand, and with doctors and nurses the world over using them, why would you not get yourself a Littmann Stethoscope? They are crafted with extreme care, made of high-quality materials, and they have great acoustic power. If you’re a nurse or a doctor, you need the best equipment in order to do your job well, so we recommend this one. If you’re a college student, on a tight budget or just want a simple stethoscope for home use, you might not be able to afford to shell out for a Littmann. In this case we suggest you look into the MDF Acoustica Deluxe, as this is our budget choice. This is a very modern and well-made stethoscope that uses its advanced design to make sure that you’re not straining to hear the sounds that you are listening for, whether it is low or high frequencies that your need to find. Also, the fact that this comes with a lifetime guarantee makes it very good value for money, a must for any budget pick. For both hygienic and accuracy readings, its a good idea to clean your scope out from time to time. Ear wax or other gunk in the ear pieces can get in the way of the sound, as can grungy build ups around the diaphragms. Dirt, dust or fluff to can also accumulate, which will impair auditory performance. For this reason, be careful how you store it. We recommend you keep it in a case to avoid this. Although some might differ, most manufacturers advise against the application of liquid, particularly solvents, as these can cause permanent damage to the instrument. Submerging the scope in liquids can be catastrophic. Therefore, always check the instructions for how to clean. In many cases, alcohol or other wipes can be used, but check first. While cleaning it out, also check for cracks or damage that could impair its usefulness. Don’t worry if something has taken a bit of a bump though, as replacement parts are usually available.